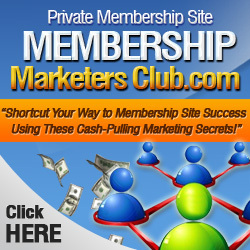 A membership site is a great way to get consistent monthly income but it can bring you even more money if you sell it after it’s been established for several months. By doing all the groundwork for a membership site, you can sell your website to someone who wants to take it to the next level. When you follow these simple steps, you can be ready to sell your first website within a matter of months. The future buyer of your membership site will do a lot of market research to make sure the site will be profitable. You need to do the same. Start by looking for a profitable market using Clickbank, Amazon’s best sellers list and other niche market research techniques. Be sure to check out the existing competition and pick a membership site topic where you can quickly gain dominance. Your future site transfer will go a whole lot easier if you have a separate Paypal address to collect memberships. If you have the new memberships go to your existing address, you’ll have to have all the subscribers unsubscribe and then re-subscribe to the new owner’s Paypal address. By setting up a separate Paypal address, you’ll increase the likelihood of keeping subscribers with the new owner. Google analytics is a free tracking program that will tell potential buyers all about the traffic that your website is receiving. Register for the service and install the code onto your web pages from the first day you start the site. You’ll have a nice history of your site’s traffic to show the buyers as well as proof that you’re receiving the daily visits that you claim you are. Get your membership started with a month of content and have a second month ready to add. If you want to add more money to your bottom line, add a few additional months of content and include them with your sales price. This will give the new owner plenty to work with once the site transfer takes place. Use article marketing, pay per click campaigns and viral reports to start building traffic to the website. With a great sales letter, you’ll have your first subscribers in no time. Continue the traffic building techniques for the entire time the site is under your control. Once you’ve gotten a good amount of members into the website and feel you’re ready to sell, gather together your traffic data and post an ad. Webmaster forums like Sitepoint and Digital Point Marketplace are some of the best places to sell your site. Browse through the existing listings to get a sense of what works and what doesn’t. Pay attention to the starting prices for auctions and price your site accordingly. Be sure to answer all buyer questions and be prepared to collect a big payout for your hard work!